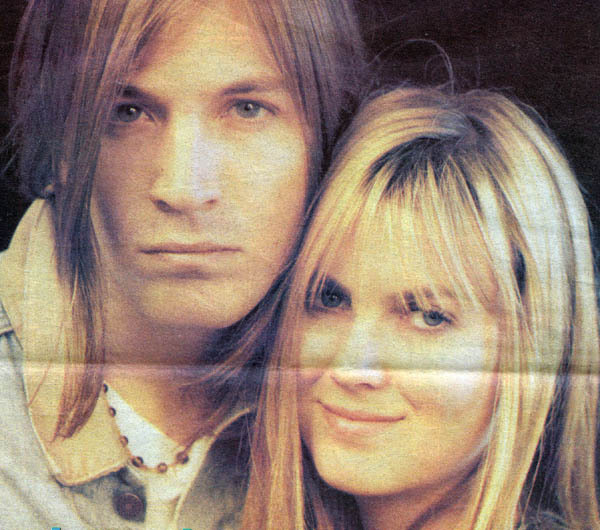 Almost any discussion involving The Lemonheads revolves around the groups co-founder and leader, Evan Dando. 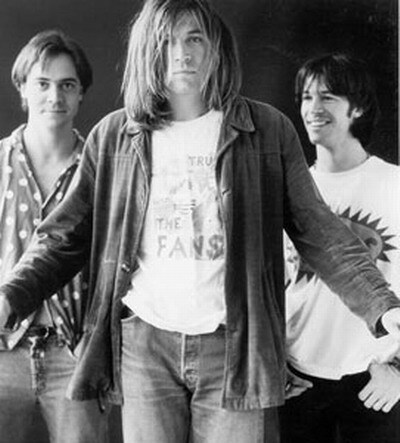 Even in the bands earliest years when co-founder Ben Deily (guitar and drums) was still around to keep The Lemonheads punkier side raging, most of the coverage and critique was Dando-centric. Perhaps it was because most of the songs were his lyrics or because he was the one out front. Or maybe it was as simple as his great looks. Regardless of how the conversation started, in the years following the release of The Lemonheads creative peak, 1992s Its a Shame About Ray, all anyone really talked about was Dandos descent into drug abuse. The Lemonheads first three albums, Hate Your Friends , Creator , and Lick , all on Bostons Taang! Records and all three featuring Ben Deily, are far more aggressive albums than Dandos Atlantic and post-Atlantic material. Forming the group during his teens to deal with his anger and frustration, much of which stemmed from his parents divorce when he was 11, the music was grittier, a tad less subtle and every once in a while, slightly confrontational. Filtered through early ’80s Boston and informed by the likes of DCs Minor Threat, the music naturally carried with it a darker, rougher edge but was tempered by a wistfulness rooted in the AM Pop radio of Dandos childhood. Acoustic melancholia and country-rock swagger occasionally made appearances, but Deilys presence in the group always managed to keep Dandos more sensitive and sentimental side in check. In 1989, prior to the jump to Atlantic Records, that all changed when Deily left the group. The following year, after recruiting David Ryan as the groups fourth drummer in as many albums, Dando, along with original bassist Jesse Peretz, released Lovey. Including a cover of Gram Parsons Brass Buttons, Lovey is Dandos exuberant exploration of jangle pop and Chris Hillman/Gram Parsons-infused country-rock all while maintaining a foot firmly planted in the pop punk sound that filled their earlier endeavors. With Deily gone, Dandos inner Gram Parsons was set free, both literally and figuratively. Despite having free reign within his group and having released his most accomplished album thus far, by the time The Lemonheads hit Australia in late 1990 and finished touring in support of Lovey, Dando was on the verge of being over the whole thing. Suspending the group, so to speak, Dando returned Down Under in October 1991, immediately reconnecting with some of the folks he happened upon while on tour. While in Australia, Dandos closest companion was Tom Morgan, founding member of Australian group Smudge and Dandos future songwriting partner. Morgan co-wrote part of Ray with Dando, and it was through him that Dando met many of the people who became inspirations for the songs that would go on to make up Its a Shame About Ray. 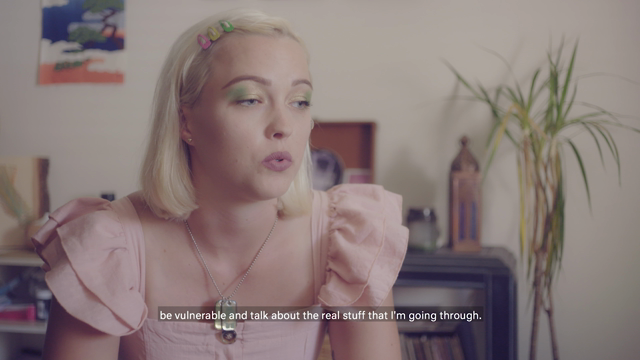 People like Alison Galloway, the drummer for Smudge, Morgans roommate Nicole, Dandos titular Drug Buddy, and the albums namesake Ray, a Melbourne club-owner. It was also where he met future Lemonheads bassist Nic Dalton, who also penned the Ray track Kitchen. Whether it was intended as a means of escape or inspiration, in the end, it turned out to be both. As Dando spent the Australian summer in a drug-laden haze fueled by ecstasy and speed, he managed to write all the songs for what would become his next (and now-classic) album. Returning stateside armed with a dozen songs, Dando re-teamed with David Ryan and pulled in former Blake Baby and rising indie pop princess (as well as college rocks most celebrated virgin) Juliana Hatfield for bass duties. Recording and producing the album was the Robb Brothers, a legendary California production team who had worked with the likes of Bowie, Dylan, Steely Dan, and Michael Jackson. With their folk rock roots and doyenesque understanding of music production, the Robbs were the perfect handlers for The Lemonheads new material. Working with some of Dandos most sensitive and endearing lyrics and certainly some of his strongest melodies, the Robbs managed to soften the edges just enough, allowing for Dandos acoustic side to become fully realized. In June 1992, when Its a Shame About Ray was released, the music industry was still somewhat in the wake of Nirvanas Nevermind, released the previous fall. Alt-rock and underground bands such as The Lemonheads, whose highest levels of recognition were in college rock, suddenly found themselves openly welcomed on MTV and commercial radio. For The Lemonheads, a wider audience meant more exposure, and more exposure meant Dandos face — with glazed eyes, wavy hair, and a slight disconnect that drove the girls ga-ga — was plastered everywhere. Such ubiquitous presence also had its downside, fueling vitriolic comments suggesting Dandos success was more related to his good looks than good hooks. Regardless of his looks, fact is Ray is an album full of great pop songs that sees The Lemonheads sharp, focused, and beautifully executing Dandos vision. And despite it clocking in at just under a half-hour, the songs were laden with memorable guitar riffs and catchy lyrics that had them repeating in your head long after they had stopped playing. I bought a copy of Its a Shame About Ray when it first came out and listened to it quite often over the next few years. I immediately gravitated towards the jangly nature of Dandos guitar and the seemingly lighthearted lyrics, finding myself often singing the repetitive lyrics of songs like Confetti or Bit Part without any idea of how deep the songs (or the entire album for that matter) sentiments truly ran. With 20 years of additional life experience, revisiting Its a Shame About Ray is not only nostalgic but somewhat therapeutic and altogether more revealing. When Dando wrote Confetti, a song that everyone now knows is about his parents divorce, he said, That song is about the way people go along with a relationship without really caring about it, just to keep the other person happy, a sentiment that many children of divorced parents can relate to. For me, not being a child of divorce, my eventual empathy came from either my own experiences or friends in similar, loveless relationships. Bit Part is a deceivingly lighthearted number that had Dando evoking acting terms such as the songs title, cameo, stand-in, and walk-on to represent just how badly he wanted to have any kind of connection, even if it was just on the periphery. At the time, the songs punch was softened by Hatfields beautiful harmonies, echoing Dandos titular demand, I want a bit part in your life. And though not necessarily noted when it was released, time and experience have revealed the songs thematic connection to Confetti. Time and experience have also revealed Its a Shame About Ray to be very much the druggy album, with critic Stephen Deusner going as far as describing it as much a junkie album as Nevermind. Yes, the album was made under the warmth of a pharmaceutical blanket, but that alone doesnt make it a druggy album. Rumours was fueled by cocaine, but it isnt a junkies album. What makes Ray so is how the songs and the drugs, the stories and the people, are all part of one big, vicious cycle. The failed relationships and resulting emotions fueled the drugs and vice versa. Songs like Rudderless with its ship without a rudder is like a ship without a rudder theme can be understood by anyone who has struggled to find or at least stabilize oneself, especially under the antagonizing addiction of drugs, but it could even be applied to someone simply ascending into adulthood. Ive never been too good with names, but I remember faces, a line sung in the albums title track, is certainly something that anyone who has ever done more than a piddling of drugs could relate to. With Alisons Starting To Happen, initially about Alison Galloway rolling on ecstasy before evolving into a tune about a girl discovering herself through punk rock, the songs subversive origins are well-hidden, something that cant be said about the albums centerpiece, My Drug Buddy. Perhaps Dandos most personal and poignant song, My Drug Buddy is a beautifully raw and honest depiction about scoring speed in the suburbs of Sydney as well as the relationship between two users. (The songs title alone had an impact; one effectively neutered when Atlantic Records forced the title to be changed to simply Buddy. Considering Atlantic signed artists like Ray Charles, their concern over the word drug in the songs title seemed at best quizzical and, at worst, extremely misguided, and thankfully the songs full-title was restored on later pressings.) Beginning with the call and ending with the two in their particular habits embrace is something many can relate to, even if your drug was simply alcohol. For many who have dabbled with drugs (including alcohol), there was probably a buddy or two in your life simply because you shared that common interest. Whether it was slamming suds, pulling tubes, candy-flipping, or bumping lines, without that communal activity, this drug buddy may have been no one at all to you. But because of this shared bond, the drug buddy understood you in ways others may not. But a drug buddy isnt necessarily a good thing to have. Considering that ones presence alone can be considered something of an enabler, in the end most drug buddies are simply using each other to get closer to their next high. Dando points to that when he sings, We have to laugh to look at each other, we have to laugh cause were not alone, all the while underlying with the heavy realization that most users truly are alone, buddy or not. When he sings, Im too much with myself, I want to be someone else, quite possibly his most open and honest lyric, not only does Dando create an arc back to why he escaped to Australia in the first place, but he confronts a sentiment many can relate to, drugs or not. With that lyric, any juvenile humor one sought to find in the songs title or subject matter immediately dissolves, revealing the song to be more confession than confection. 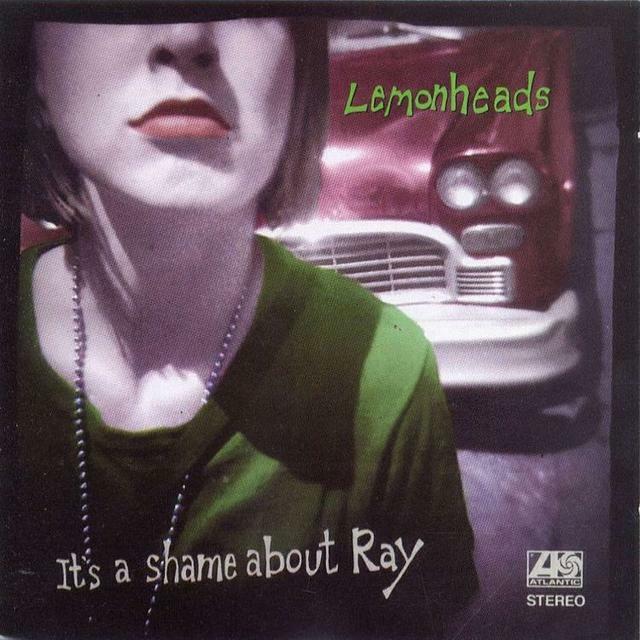 On every Lemonheads album, there has been a cover. Whether it was Suzanne Vegas Luka or the previously mentioned Parsons tune, or even Amazing Grace, Dando and crew have for one reason or another always opted to throw one or two into the mix. For Ray, Dando chose Frank Mills from the musical Hair, a choice that with the benefit of hindsight is slightly revealing and somewhat prophetic. The lyric I love him, but he embarrasses me may have been an attitude shared by many friends and band mates of Dando, especially in the years following Rays release as Dando descended further down the spiral. Its gentle, folky nature and slightly off-kilter delivery was the perfect comedown, and before Atlantic forced the addition of Mrs. Robinson onto later pressings, a wonderful closing statement to the album. The follow-up to Ray, 1993’s Come On Feel the Lemonheads, tried to continue mapping much of the territory begun with Lovey and fleshed out with Ray, even including songs like Being Around, that continued the sadly lonely theme behind Bit Part, though with a dollop of humor. But at the end of the day, the fact is with Its a Shame About Ray, Dando and his group peaked artistically. And though released only two years into the ’90s, both the album and its title track are among the best releases of the decade (if not beyond), something possibly recognized by Dando himself, as in recent years hes taken to covering Ray in its entirety (though conveniently leaving Mrs. Robinson off the set list). Yes, with Its a Shame About Ray, The Lemonheads reached the mountaintop. Unfortunately for them, it was a small peak.